Touch of Evil made a small ripple as a seedy little crime movie in 1958, but since then, that ripple has become a tidal wave of appreciation for not just the film but also its director, Orson Welles. Welles could never live up to Citizen Kane, his debut made as a 25-year-old maverick that would eventually be remembered by most critics as the greatest, most influential film of all time. It's doubtful that any director could match Kane, regardless of whether or not it was their first film. Welles had other obstacles, however. He struggled both in and out of Hollywood for years trying to make one movie after another until 1957: First came the stolen ambition of his Kane follow-up, The Magnificent Ambersons, which was notoriously re-edited by RKO. Then came an uncredited stewardship of the forgettable Journey Into Fear and the mostly average spy caper, The Stranger. The Lady from Shanghai, a bizarre noir, was his next film as a director, followed by a low-budget Macbeth. Before landing at Universal for Touch of Evil, Welles also made a film called Confidential Report, or Mr. Arkadin. Fans love it. Nobody else has ever seen it. “Well, they said they’d let me do that if I wouldn’t get paid as a director or a writer -- just my original salary as an actor. So I had about three and a half weeks to go before it began, and I locked myself up with four secretaries and wrote an entirely new story and script." Based loosely on the Whit Masterson novel, Badge of Evil, Touch of Evil showed the undoing of a corrupt policeman of a Mexican border town. Comeuppance of the rich and powerful had always been a thematic element of Welles’ films (think of George Minafer Amberson’s just desserts or the fate of Charles Foster Kane); however, in Touch of Evil, the betrayal suffered by the powerful Captain Hank Quinlan was not as a result of a changing society — at least, not primarily — but rather at the hands of his close associate, Pete Menzies. This sort of personal betrayal was evidenced again with brutal emotional bareness in Welles’ Chimes at Midnight. That theme so common in Welles’ films was mirrored eerily by his own personal and professional life. In the two-thirds of his life that followed Citizen Kane, Welles would never again approach the acclaim or attract the attention he did with his film debut. Instead, his career was an uncanny exhibition of missed opportunities and commercial failures. His own comeuppance came over the course of 40 years, a period during which Welles — regarded as one of the greatest of all film directors — could only navigate 12 films to completion, leaving about that many in bits and pieces along the way. 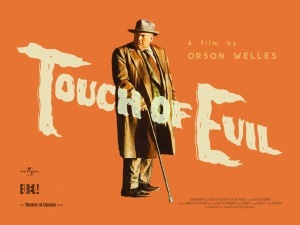 In many ways, and to a lot of people, Touch of Evil would be Welles' last hurrah. As for betrayal, it has been suggested that Welles wrought his abandonment by John Houseman, his closest associate through Citizen Kane, and by virtually every studio he ever worked for. Perhaps out of bitterness over what he perceived as disloyalty throughout his career, Welles began to professionally focus on the subject of a once-mighty figure betrayed by a close associate with The Lady from Shanghai, and that thread remained constant through even his multilayered documentary of art forger Elmyr de Hory, F for Fake. 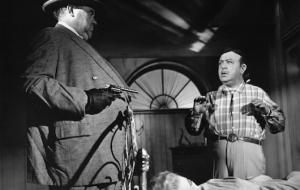 In Touch of Evil, Pete Menzies (Joseph Calleia) betrayed crooked cop Hank Quinlan (Welles) after decades of looking the other way while Quinlan framed suspects in the name of justice. "The surface themes of Touch of Evil are easy to spot, remarked Roger Ebert, "and the clash between the national cultures gets an ironic flip: Vargas reflects gringo stereotypes while Quinlan embodies clichés about Mexican lawmen. But there may be another theme lurking beneath the surface." 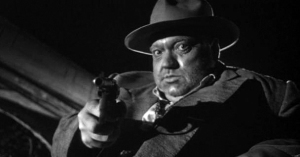 Welles was never able to complete Touch of Evil in the way he would have liked. He claimed years later that Universal executives had barred him from the lot after viewing Welles' original rough cut of the picture, not allowing him to oversee final editing. "I was so heartbroken when it turned out I couldn’t go on with it. I was so sure I was going to go on making a lot of pictures at Universal, when suddenly I was fired from the lot. A terribly traumatic experience. Because I was so sure. They went out of their way to compliment me every night of the rushes, and 'When are you going to sign a four- or five-picture contract with us? Please come and see us.' Every day they kept asking me to sign the contract. Then they saw the cut version and barred me from the lot...the picture was just too dark and black and strange for them...there’s something missing there that I don’t know about, that I’ll never understand. It’s the only trouble I’ve ever had that I can’t begin to fathom. And I really thought I was home again, you know and, 'I’m going to be at Universal three or four years making pictures' -- the way they talked. Then suddenly I couldn’t get on the lot." What remained, even in its initial theatrical form, was the stuff of a swaggering genius. Welles' famed opening shot, at that time the greatest tracking shot ever captured on film, established the entire setup as well as the protagonist (Heston) in just over two minutes of daring, swooping crane moves, accompanied by an unforgettable theme by Henry Mancini. "I've always regretted that they put titles over it, because it was meant to be done in the clear, with the titles at the end of the movie. It's a shame to see stuff written over something that's important," lamented the director years later. 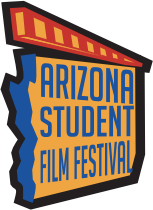 Fortunately, the titles were removed for the 1998 theatrical and DVD re-release of the film. Welles loved the opening, but was more enamored with a sneakier piece of uninterrupted filmmaking, shot on the first day of production. "There's, technically, a much more difficult crane shot...it runs almost a reel, and it's in the Mexican boy's apartment — it's in the three rooms where the dynamite is found in the bathroom and all that," remembered Welles. "It has inserts and long shots and medium shots and everything. We had breakaway walls." The principal cast, terrific for a film of its budget, also included Janet Leigh as Inspector Vargas' loving wife, a damsel in distress, Dennis Weaver as a slightly askew motel clerk, and Marlene Dietrich, one of Welles' oldest friends in show business, as a broken down fortune teller named Tanya. It's Tanya who delivers the classic line to Quinlan that many have also applied to the last quarter century of Welles' career: "You haven't got any (future). It's all used up." When Touch of Evil was released as the B picture of a double feature in early 1958 in the United States, it had an unspectacular run supported by very little publicity. 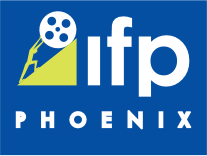 The film did win Grand Prize at the Brussels World’s Fair film festival and performed well in Europe. Said Welles, "It's made quite a bit of money, according to Chuck Heston, who owns a piece of it." The little B movie that Universal was afraid of is today regarded as one of the best examples of American film noir ever made. In 1993, five years before the Universal restoration of the film that took into account 58 pages of Welles' notes on how the film should be edited, the National Film Registry selected it for preservation. That restoration, along with Hitchcock's Vertigo (also originally released in 1958), stand as the most valuable examples of the practice. The new version of Welles' troubled noir gave it new commercial and critical life. The re-release finally made the film a box office hit. Time Out, the British publication, has since ranked Touch of Evil No. 8 on a list of the all-time greatest movies, while Sight and Sound, the publication that first heralded Citizen Kane as the greatest film ever in 1962 (a rank it held for five decades before dropping to No. 2 in 2012), has it listed at No. 26 on their most recent poll of filmmakers. Touch of Evil was the last film Welles ever made for an American studio.